An Taoiseach Leo Varadkar TD and the Minister for Health Simon Harris TD today officially turned the sod on two major Health capital projects, the new Children’s Hospital centre at Connolly and the 120 bed redevelopment at the National Rehabilitation Hospital. An Taoiseach and Minister Harris joined representatives from the Children’s Hospital Group and National Paediatric Hospital Development Board for the official sod turning ceremony of the Paediatric Outpatients and Urgent Care Centre at Connolly Hospital, before travelling to Dun Laoghaire to turn the sod on phase one of the major redevelopment project at the National Rehabilitation Hospital. 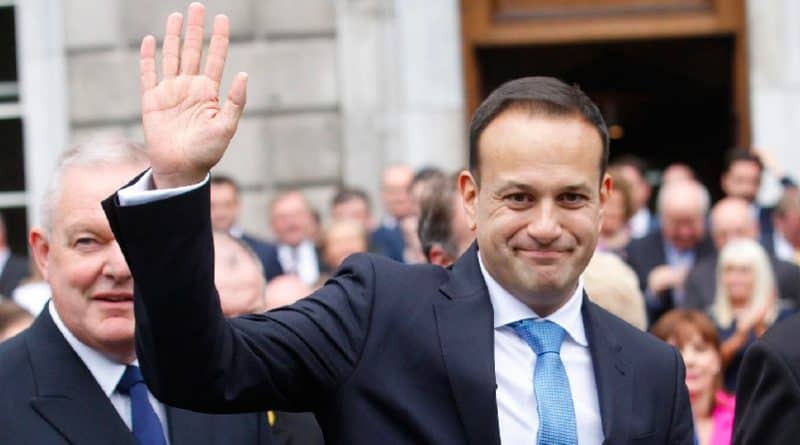 The Taoiseach said today’s sod turning events reaffirm the Government’s commitment to investing in vital infrastructure, while the Minister for Health said these projects will both play a key role in the development of Ireland’s health services. The new Paediatric Outpatients and Urgent Care Centre at Connolly Hospital, together with the new children’s hospital on a campus shared with St James’s Hospital, and the second Paediatric Outpatients and Urgent Care Centre at Tallaght Hospital, is part of the ongoing programme of work to positively transform children’s healthcare and to deliver improved clinical outcomes for Ireland’s sickest children and young people for future generations to come. The facility at Connolly Hospital will provide local access to urgent care for children in the Greater Dublin Area. The centre will support primary and community care through the provision of general community and paediatric clinics, including developmental paediatrics, multidisciplinary care for children with chronic stable conditions and other outpatient services. The centre is projected to deal with 25,000 urgent care and 15,000 outpatient attendances every year. In addition to the sod turning event today, the name for the new children’s hospital and the two centres was announced – they will be called Phoenix Children’s Health. An Taoiseach said “I am delighted to mark another important milestone in the development of the new children’s hospital and Paediatric Out Patient Department and Urgent Care Centres. I have been a strong supporter of this project over recent years and it is very rewarding to see us progressing to construction stage. 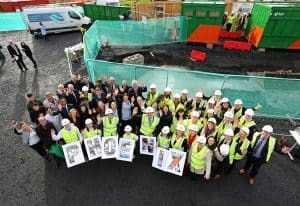 The two new centres at Connolly and Tallaght will be an integral part of the new children’s hospital and will be of significant benefit to the people living in the local area, bringing paediatric services here to the thriving communities in Blanchardstown, as well as providing urgent care for children in the Greater Dublin Area. Major redevelopment at the National Rehabilitation Hospital, Dun Laoghaire. The new hospital development at the National Rehabilitation Hospital, Dun Laoghaire, will see the existing ward accommodation replaced by a new fit for purpose block of 120 single ensuite rooms. There will be integrated therapy spaces, a new sports hall, hydrotherapy unit, a temporary concourse as well as clinical and ancillary spaces. In addition, links to the existing building will ensure full integration between the new development and the existing hospital on the site.